SBM Monaco entertains over 5000 people in the Place de Casino in Monte Carlo on Saturday night with Mika headlining and Charles Pasi. Surrounded by the exclusive guests at the Cafe de Paris, Alain Ducasse, Hotel de Paris, Mika entertained 500 persons at the expense of SBM Monaco. Branded as Casino Night, the entertainment started with Charles Pasi who was inspirational with his blend of jazzy soul music accompanied by a harmonica. The crowd was packed tightly into the Casino Square shodowed by the beautiful Monaco Casino, and erupted when Mika arrived for the main event just after 10:30 pm. Mika was highly entertaining jumping on top of the glittering piano that took centre stage and working closely with his musicians. 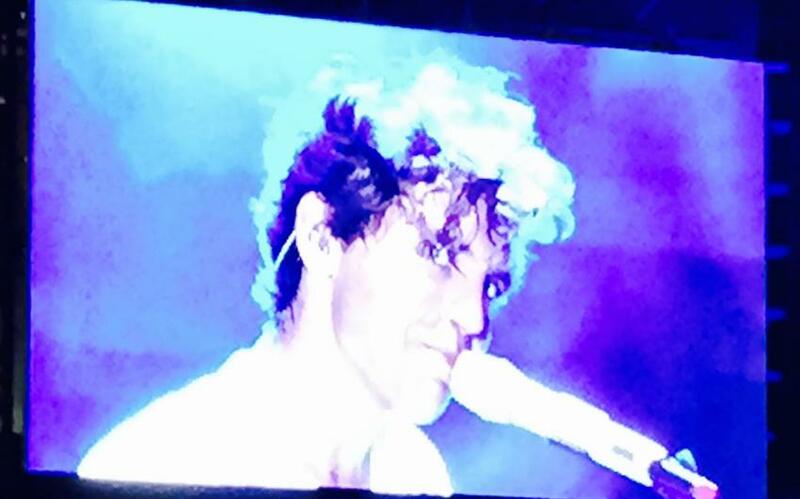 Mika started with the classic 'Relax' and did 'We are Golden', "Big Girl" and many of his top hits. The French songs got the mainly Monagasque, French and Italian crowd going with "Elle me dit" and "Boum Boum Boum". SBM Monaco put on a series of shows over the summer in Monaco usually ticketed, but often there are free shows like this spledid Mika gig.